Your first step is completed! You’ve been considering adding new cabinetry to your home, and you’ve started gathering your information. You may have visited design websites and leafed through magazines to form your ideas and get a clearer sense of the design and style best suited to you and your home. If you haven’t yet, stop by the Cataraqui Cabinets showroom to get a sense of what we make here in Kingston. This will provide you with a little bit more information as you continue with this exciting process. Click here to download our “Measuring Up” pdf, which will show you step-by-step how to measure your space in your home. Once you have your measurements, call our office and make an appointment with a designer, or stop by our showroom for your initial consultation. Once you have a sense of what type of cabinetry you desire and the type of finish on the doors, we can work with you to get started! During your initial meeting, you and your designer will talk about what you expect from your kitchen/bath or living space. This is when you will pick out door styles, colours, countertops, and accessories that you might want for your cabinets. After the meeting, the designer will prepare a preliminary design, as well as a cost estimate. Once these are ready, the designer will be in contact with you to set up a second meeting. Next comes the revision and refinement stage. You and the designer will work together to come up with a design that totally fits your vision. It is also during this phase that the designer will arrange to come to your home and take final measurements. Once your are completely comfortable we will proceed. At this point, you will sign-off on the project and leave a deposit, so work can begin and an installation date can be set, and your dream will start to become a reality! Find out what we can do for you, what area of your home we can improve and who we do it for. 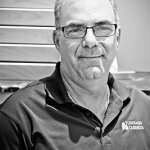 Clint has decades of experience in the kitchen cabinet industry and has been a Cabinet Designer with Cataraqui Cabinets for over 15 years. Clint’s portfolio is robust and impressive. Clint has an artistic flair that is balanced by his practicality which ensures his designs are both visually appealing, while being highly functional. 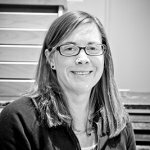 Following graduation from University of Toronto, Lesley obtained her Diploma in Cabinetmaking and Furniture Technology. After working in the cabinet manufacturing sector until 2009, Lesley transitioned in to Cabinet Design and has been working with clients to assist them in making their vision a reality. Lesley’s attention to detail and broad range of knowledge brings confidence to those involved in the process of creating cabinetry in the home or workplace.